At the recent G-20 conference in Brazil the European Union nations kept trying to get President Trump to reverse his course of taking America out of the Paris climate accords and sign back on like a good fellow, and do the right thing, help save the planet. Trump didn’t and he won’t and in fact, he scoffed at the preposterous notion of man-made global climate change or of imposing onerous taxes on Americans for no logical reason. The whole scheme is a wealth transfer scam that demands the wealthy nations of the industrial world to pony up their ‘fair share’ of financial support for the poorer nations of the world. Mind you, the United States already has reduced its carbon emissions footprint far below the levels of any other country in the world, yet we are still held out as the biggest offenders and they wonder why we won’t comply. I don’t believe Trump is finished yet! Let’s hear from China and India first. Already the US spends more money on foreign policy matters much of which it seems ends up in the private bank accounts of petite dictators. It’s not hard to recognize a scam when we see it. We give them money and they still vote against us in the UN. Their goal of course is worldwide socialism and they expect we should pay for it. We can thank Democrats for that, and especially that Obama creature. If Democrats are returned to power, we will. How are silly schemes like the Paris climate accords, where each nation pledges (not promises) to reduce greenhouse gases get funded? Easy, by each country enforcing compliance through increased fuel taxes or, really, the taxing of all carbon producing products, i.e. : fossil fuels. Well, the once popular young President of France, Manny Macron, did just that. He imposed a carbon tax on motor fuel and set the streets of Paris on fire. 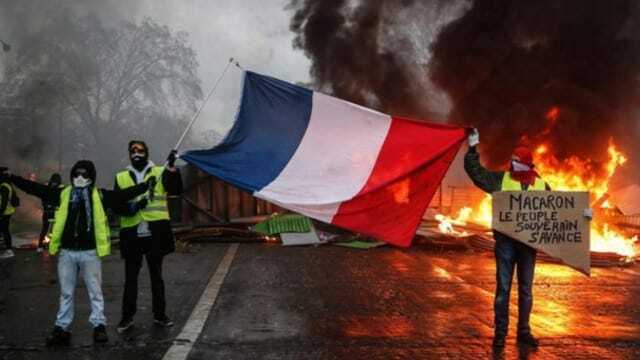 At a stroke, he created a massive civil protest that has turned deadly violent and quickly went viral with citizens setting fires to any thing on the streets of central Paris. “Is Paris Burning?” You bet it is and the Parisians haven’t had this much fun since the IFF helped drive out the Nazi’s in WW2. However, CBS Evening News did reveal the real intentions of Macrons “fuel tax.” Macron was ‘booed’ as he toured the damaged riot areas. Macron had vowed he “wouldn’t back down on his fuel taxes aimed at cutting carbon emissions,” Well, guess what, he backed down! 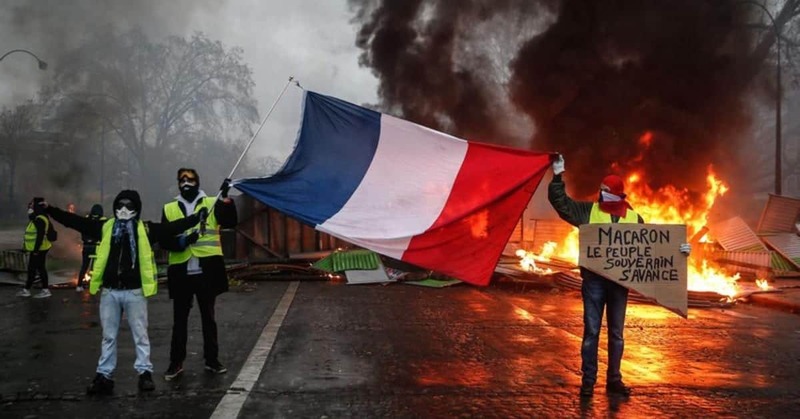 I suspect we don’t hear about the French riots because our home grown Liberals want a carbon tax like that too, but are now afraid of igniting similar riotous consequences. Democrats must, at all costs, protect their plans to impose socialism on America. Every body agrees to clean air and water. Who can argue against that? But, if imposed, the Climate Agenda will push America’s middle class into complete penury and the poor will be crushed totally. We wouldn’t even have enough loose change left in our pockets to buy the ammunition we’ll need to dissuade the socialist from their evil plans. Embracing carbon taxes is a fools errand. Don’t do it! Remember, Liberty is the goal, the Constitution is the way, now, go get ‘em!